Our good friends at HTC have let us know that the HTC Desire C, an ultra affordable compact handset, has been made available to Virgin Mobile and SaskTel and will be soon made available to Rogers and Fido customers. The Desire C sports a 3.5 inch HVGA (320x480) screen, 600MHz processor, 512MB of RAM and a 1230mAh battery with Android 4.0 and Sense 4.0. We'll have a full review of the device shortly. Check out the Press Release and (fantastic) prices after the break. Toronto, ON – July 13, 2012 – Following the successful launch of the HTC One™ series, HTC, a global designer of smartphones, today announced the HTC Desire™ C smartphone is now available on Virgin Mobile and SaskTel and coming soon to Fido and Rogers. Featuring Beats Audio™ technology, this premium designed, yet affordable smartphone, allows you to hear your music just as the artist intended. The HTC Desire C also enables you to easily manage your professional and personal lives and share the moments that shape them. The HTC Desire C is great as a first smartphone or for those upgrading from an existing one. Packing a powerful battery and offering access to thousands of apps, games, music and movies – available through Google Play – you will always be connected and entertained whether at work, home or on the move. The HTC Desire C features a powerful, yet rich studio-quality sound experience that is enabled through the combination of optimized Beats Audio and amazing hardware. This integration enables a rich, clear audio experience to customers whether they’re listening to music or playing a game. Combining a durable metal frame with precision engineering, the HTC Desire C is ideal for those who want a premium-designed phone. Boasting a micro-drilled earpiece for sharp in-call sound, hyper-viewing angle display and metal camera bezel, this compact smartphone offers an unrivalled level of design and user-experience for its class. Packing the latest mobile technology into a neat, eye-catching design, HTC Desire C’s vibrant 3.5-inch HVGA screen makes it easy to browse the Web, view photos or connect with friends and family. Sharing personal experiences with your social network is easy with HTC Desire C’s 5 megapixel camera and instant sharing capabilities, which allow you to post any moment seconds after it was captured. The integration of Dropbox*, which provides 25GB of space free for two years, provides the freedom to back-up, browse and share thousands of photos, videos and documents, whether stored locally or in cyberspace. 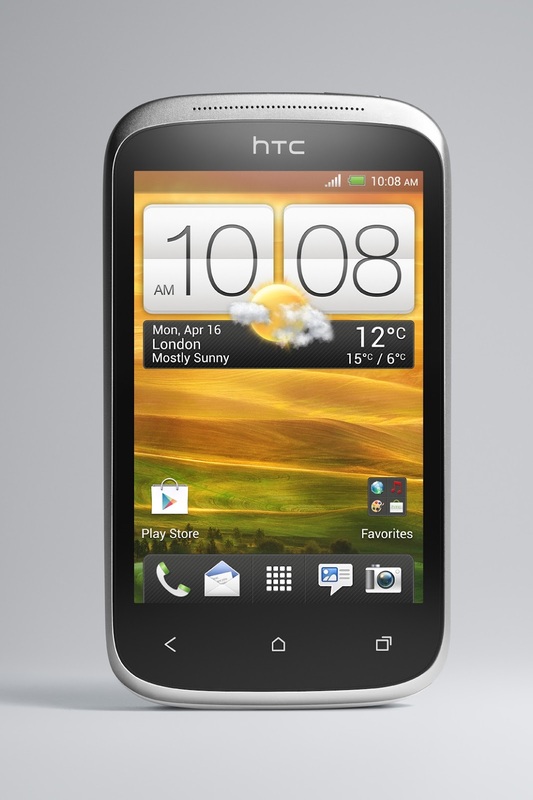 The HTC Desire C is now available in Canada from Virgin Mobile and SaskTel. 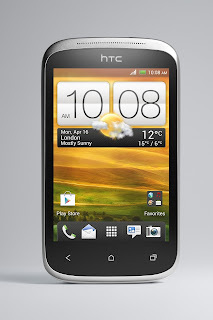 For additional information on the HTC Desire C or HTC’s portfolio of products, please visit htc.com. Founded in 1997, HTC Corporation (HTC) is the creator of many award-winning mobile devices and industry firsts. By putting people at the center of everything it does, HTC pushes the boundaries of design and technology to create innovative and personal experiences for consumers around the globe. HTC’s portfolio includes smartphones and tablets powered by HTC Sense®, a multilayered graphical user interface that vastly improves user experience. HTC is listed on the Taiwan Stock Exchange (TWSE: 2498). For more information, please visit htc.com. If you check out the SaskTel and Virgin website, the Desire C can be purchased for an incredibly affordable $99 and $150 sans-contract respectively and of course both are $0 on contract. It remains to see how Rogers and Fido will price theirs but we expect the same price points.